It has become the third highest-grossing film in the United States of America of all time. The eighteenth film in the Marvel Cinematic Universe, Black Panther has earned nearly $1.3 billion globally since opening in February, and is currently the tenth top-grossing film of all time. Featuring Chadwick Boseman as the titular superhero, the film begins with the Black Panther taking his place as the ruler of the isolated and technologically advanced African nation Wakanda. However, he finds his sovereignty challenged by the return of an old enemy in a battle that could have ramifications for the entire world. Black Panther and Wakanda have been particularly emphasised in the latest television spot of Marvel’s Infinity War, which is scheduled to be released on April 24. 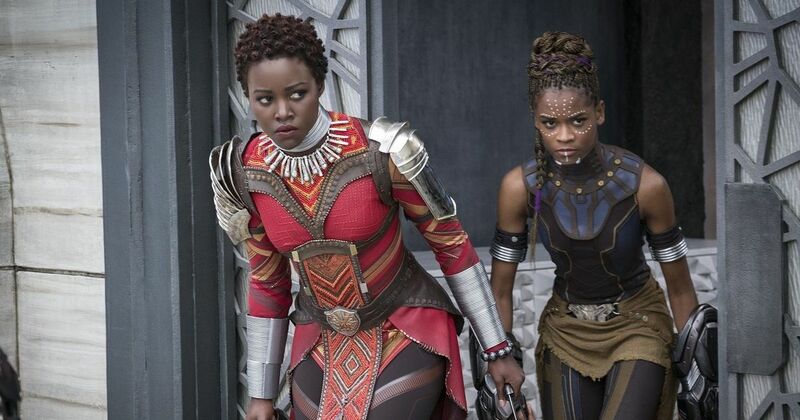 “When you said we were going to open Wakanda to the rest of the world, this is not what I imagined,” Wakanda’s best warrior Okoye (Danai Gurira) declares at the end of the trailer. “What did you imagine?”, T’Challa questions. “The Olympics…maybe even a Starbucks,” she says. The television spot also features Peter Parker (Tom Holland), Tony Stark (Robert Downey Jr.), Dr. Strange (Benedict Cumberbatch), Captain America (Chris Evans), Bucky Barns (Sebastian Stan), and Black Widow (Scarlet Johansson), among others.